Holland America Line’s recently announced Pinnacle class ships bring a new era and approach for the cruise line. 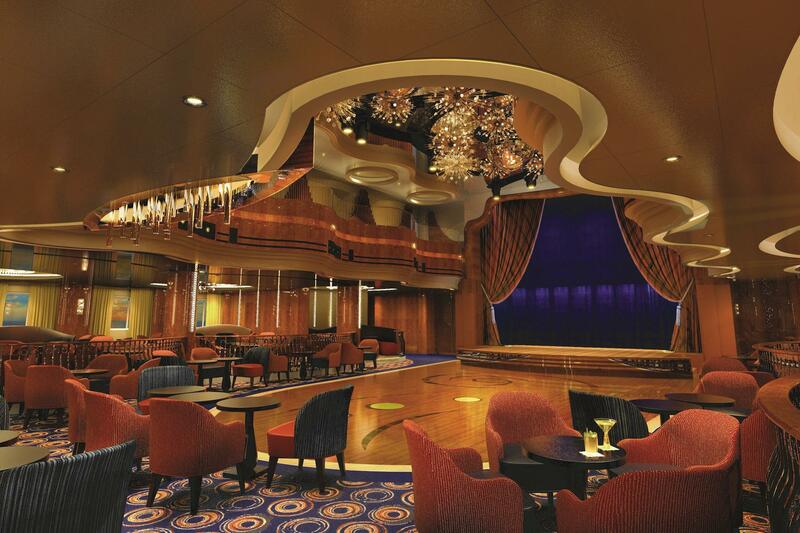 Accommodating 2,650 guests, when the ms Koningsdam debuts in February 2016, she’ll have a fresh contemporary styling that still harmonizes with Holland America Line’s classic elegance. 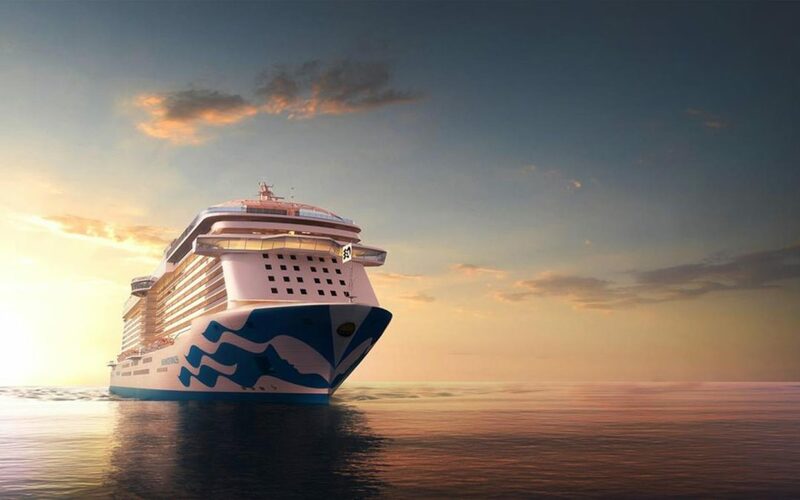 Her design has been inspired by “the architecture of music.” New features onboard include the first purpose-built family staterooms and single staterooms, along with a wider range of their suite categories. Yes, the “suite life” does get sweeter! Well known for classic elegance, Holland America Line is introducing some new innovative features on the ms Koningsdam being created by Adam D. Tihany and Bjorn Storbraaten. Regarded as one of the world’s most pre-eminent hospitality designers, Tihany elevates the interior designs of the ms Koningsdam creating a modern balance of past, presence and future. Architect and designer Bjorn Storbraaten previously worked on the ms Eurodam and ms Nieuw Amsterdam. His work on the ms Koningsdam brings continuity along with new levels of elegance. Tihany’s approach as far as creating the interiors has been inspired by “the architecture of music.” Guests can actively interact with the architecture, and one example has been the unique design of the central atrium. 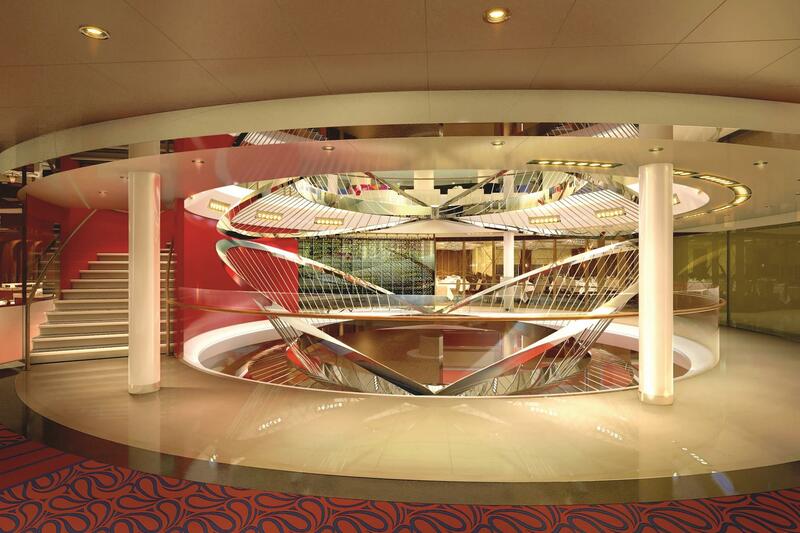 Onboard the ms Koningsdam, the central atrium is three decks high and creates visual drama. An airy stainless-steel sculpture representing the synthesis of a string quartet graces this space, and the experience changes as guests move around as well as through it. The central atrium also has a ceiling “skylight” allowing guests to enjoy the changes while looking up – from wispy cirrus clouds floating in the sky during the day to dramatic lighting hues and starlit constellations during the evening. The main Dining Room spans two floors on the ms Koningsdam. Its curved architectural pillars accentuate a soaring ceiling and guests can enjoy spectacular views of the sea. Custom furnishings along with modern glass lighting are being specially created. The centerpiece for the main Dining Room is actually a curved copper sheath that is surrounded by a two-story wine tower, complete with an impressive selection of wines. On Holland America Line’s other ships, the Magrodome has typically been a single level. But Bjorn Storbraaten is designing a different look for the central pool area, and it’s being expanded into two levels. This vast glass-enclosed space has a lower level, featuring more traditional poolside elements, while the mezzanine level creates a new concept and area onboard for guests to enjoy. 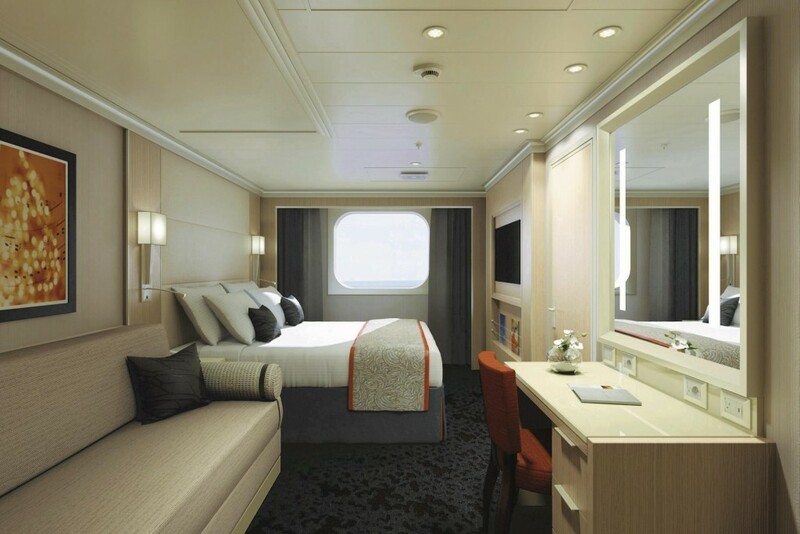 The ms Koningsdam features Holland America Line’s first purpose-built family staterooms as well as single staterooms. The 12 single ocean-view staterooms are located on the forward Main Deck and range from 127 to 172 square feet. There are 32 new specially designed family ocean-view staterooms, ranging from 222 to 231 square feet. They can accommodate five guests and feature some other special amenities, including two bathrooms. It’s a nice option for multigenerational groups. Suites – yes the “suite life” gets sweeter! Larger, more luxurious suites are part of the ms Koningsdam’s design. At 1,290 square feet, the grand Pinnacle Suite includes a living room, dining room, bedroom, dressing room and private verandah complete with a whirlpool. There are two Neptune Spa Suites onboard, along with 43 Neptune Suites ranging from 465 to 855 square feet. Guests staying in the Neptune and Pinnacle suites also have access to the exclusive Neptune Lounge. This private place lets guests relax, enjoy the services of a private concierge, and socialize with other suite guests. A large screen television, library, chairs and sofas, large worktables and complimentary refreshments throughout the cruise are a few key features. Other amenities include priority dining and seating requests, complimentary laundry, pressing and drying cleaning as well as a cocktail party with the ship’s officers. On request, cold hors d’oeuvres are served before dinner each evening. Other suite categories include 14 Signature Suites, which are up to 400 square feet, and 104 Vista Suites which range from 260 to 356 square feet. Guests staying in the Signature and Vista Suites receive several special amenities. A few include mini bar, one-touch phone concierge service, a pillow menu, fresh flowers, and oversized bath towels. The ms Koningsdam is the first Pinnacle class ship for Holland America Line and the largest one to date, coming in at 99,500 gross registered tons, accommodating 2,650 guests and 1,025 crew members. The increased size lets Holland America Line add new public areas and spaces along with ones already on their other ships. The Queen’s Lounge, for instance, is being completely redesigned and reimagined. 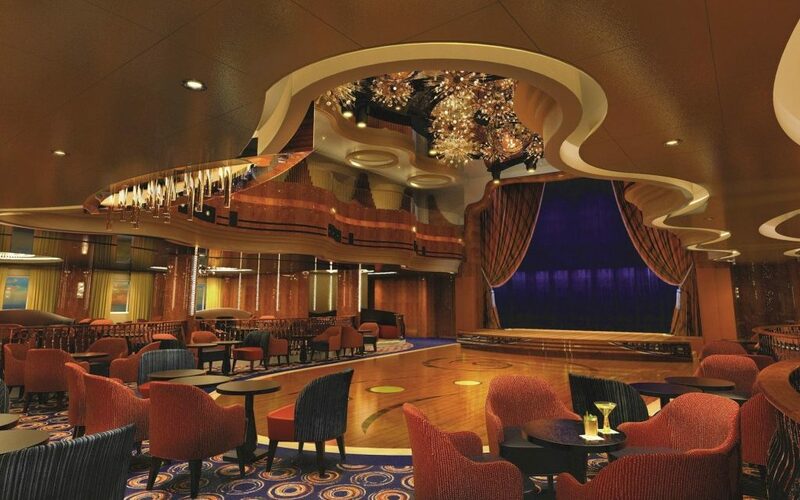 This elegant entertainment venue and theater spans two floors, features the largest dance floor on the ship and showcases world-class musicians. As far as her name? Since 1883 every Holland America passenger vessel has had the “dam” suffix. In Dutch, the word “koning” means “king.” The name also pays honor to the first king of the Netherlands in over a century, King Willem-Alexander. Holland America Line’s 141 year history has deep roots and ties with the Netherlands. 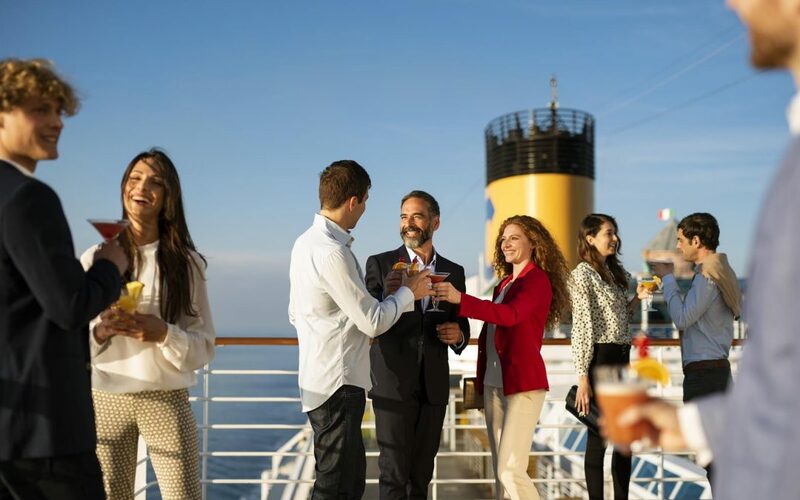 Their 15 premium cruise ships sail to more than 400 ports of call, feature the Greenhouse Spa & Salon, along with their renowned Culinary Arts Center presented by Food & Wine® Magazine, Explorations Cafe powered by The New York Times, and Digital Workshop powered by Windows. If your group is looking for a new cruise option, the ms Koningsdam is one to consider. Besides the traditional favorites Holland America Line’s ships are well known for, new ones onboard give your group new options – the new single staterooms, family staterooms, along with the expansion of their suites. Yes, the “suite life” gets sweeter. Now What? 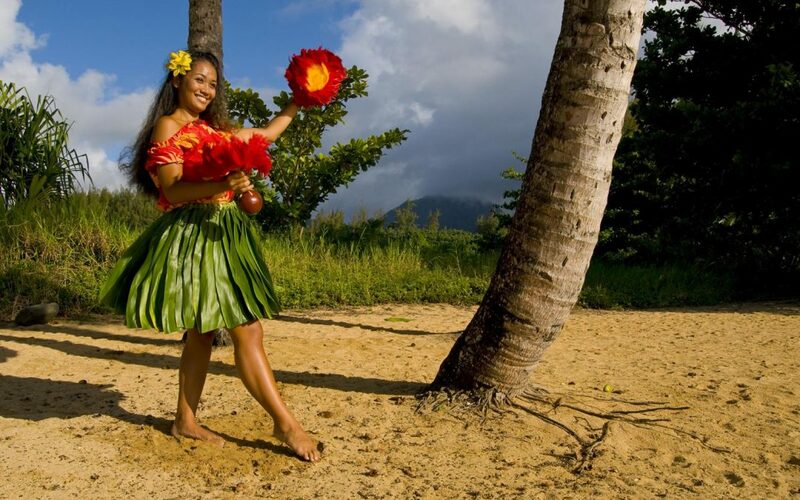 Get a Free Group Cruise Quote!